The Liberal volleyball team started slowly Tuesday in the Big House. 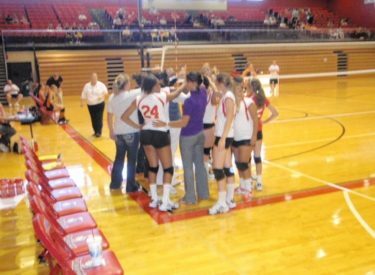 After building a big lead against Guymon, they struggled to win (25-18 and 25-23). But they dominated the evening session against Ulysses (25-11, 25-19) and Colby (25-11, 25-15). Liberal is 8-4 and hosts a tournament Saturday.